Uses ssh or telnet to remote in and save the output from sh log. Tested with Cisco, Brocade, Foudry and Extreme. We use the action URL in IcingaWeb2 to display the logs. 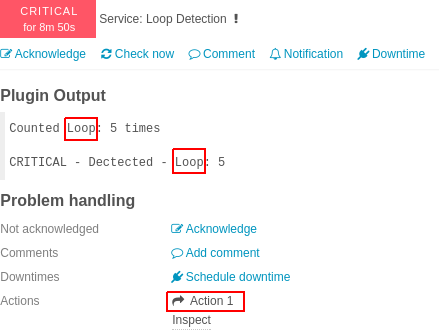 The string "Loop" is what we're searching for, and the action url is a link to the log files.